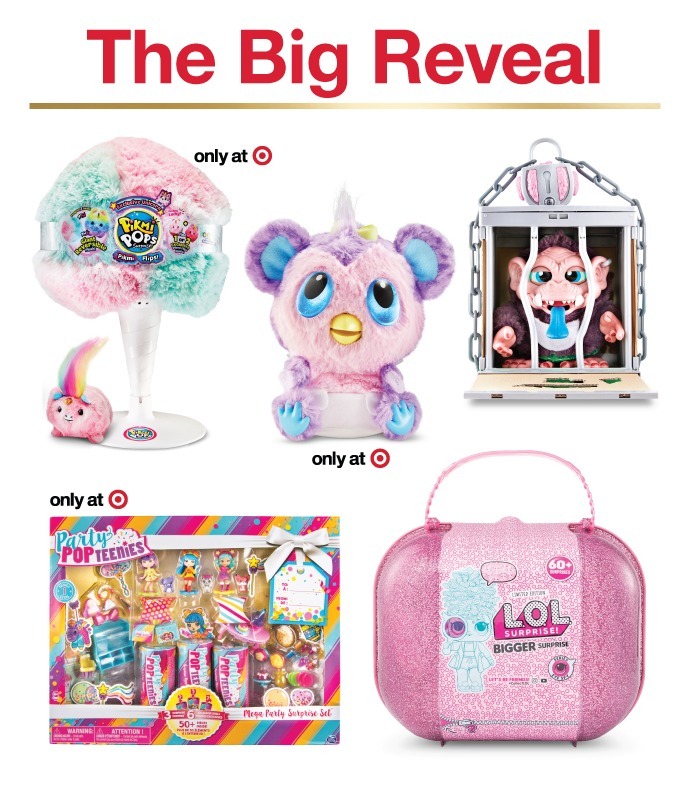 View the Target Toy List 2018 ad and save with this year Target Toy List deals on Pikmi Pops Unicorn Super Flip; Hatchimals HatchiBabies Target-exclusive MonKiwi; Crate Creatures Giant Creature Croak; SkeeBall The Classic Arcade Game; Beyblade Ultimate Tournament Collection; Fisher-Price Laugh & Learn Smart Learning Home; LEGO Unikitty Unikingdom Fairground Fun; Boxer Interactive A.I. 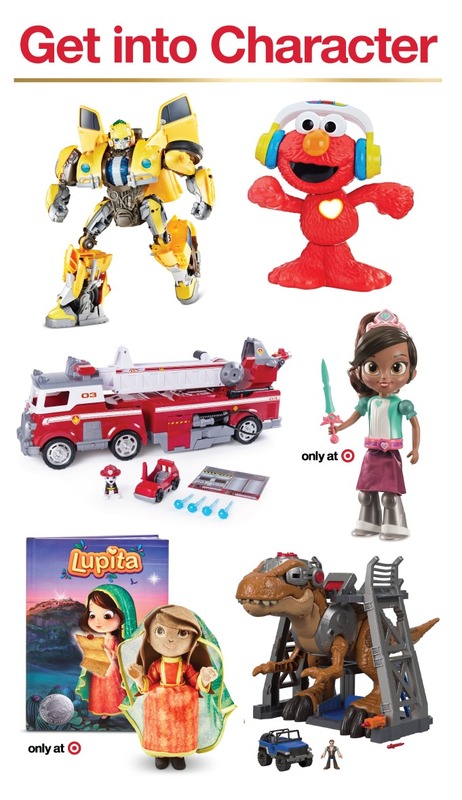 Robot; Jetson Rogue Hoverboard; Really Rad Robots Mibro R/C Robot; Sesame Street Let’s Dance Elmo; Fisher-Price Imaginext Jurassic World Jurassic Rex; Lupita Doll & Book Set and many other items. Shop from a selection of 2,500 new and exclusive toys and receive free, no-membership-required 2-day shipping. 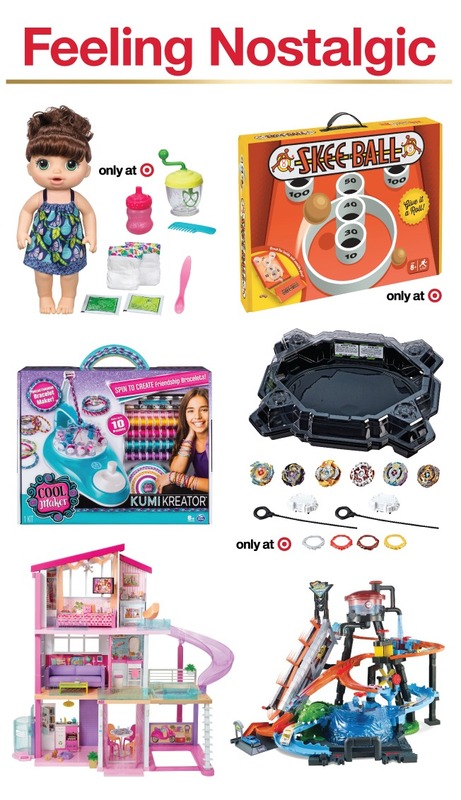 Don’t forget to check this year Target Toy List deals before heading out to shop.